Some special Voodoo Spells are known to invoke the soul of dead persons and make them come back to this dimension so that the practitioner can converse with them. Hindu Mantra and Occult Sciences contain numerous such Mantras-Tantras, which are known to attract the spirits of dead people, the Mantra-Tantra given in this post is said to call the soul of a newly expired person who has died a sudden and unnatural death due to his own fault; such as a suicide. If the practitioners comes across a situation where a person has died an unnatural and sudden death. Then he has to be present at the time when the body of the dead person is being taken to a Smashan Bhoomi or a Graveyard for cremation or burial. The race or religion of the dead person does not matter; the only condition is that he or she should have died as described above. Then, he has to bring a mental image of the dead person in his mind and concentrate upon it and commence chanting the two words Mantra shown in the image. He has to keep chanting the Mantra for two days until 3564 Mantra chants or 33 Malas are completed in a period of two days. For these two days, the practitioner has to stay in the house of the dead person and do the Mantra chanting as per his convenience so that other people do not become suspicious about his actual intentions. A Japa Mal of Black Agate Stones, known in the Hindi language as Kala Hakik has to be used for counting the Mantra Chants. On the third day, the soul of the dead person will come under the Voodoo Spell and appear before the practitioner and the practitioner will be able to visualize the soul and converse with it. 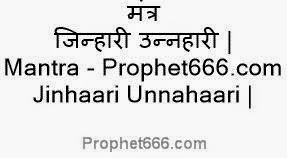 This Shabar Mantra is believed to be of Islamic origin ans suitable only for advanced Spell Casters. can i talk to my loved ones by this way and if i can then please tell me how to or if not then at least tell me if there is any method to just know if there is any soul around me or my house please sir. I see that nobody has replied to your Email .I recently lost a near one and feel your pain .You can hire a medium to talk to the spirit .I'm case you want to do it yourself there is a book called mritak atmaose batcheet by rajiv digit which is available at dehati pustak bhandar online .